Developed my original idea, trying to show the splitting of personalities as well as removing the profanities!! 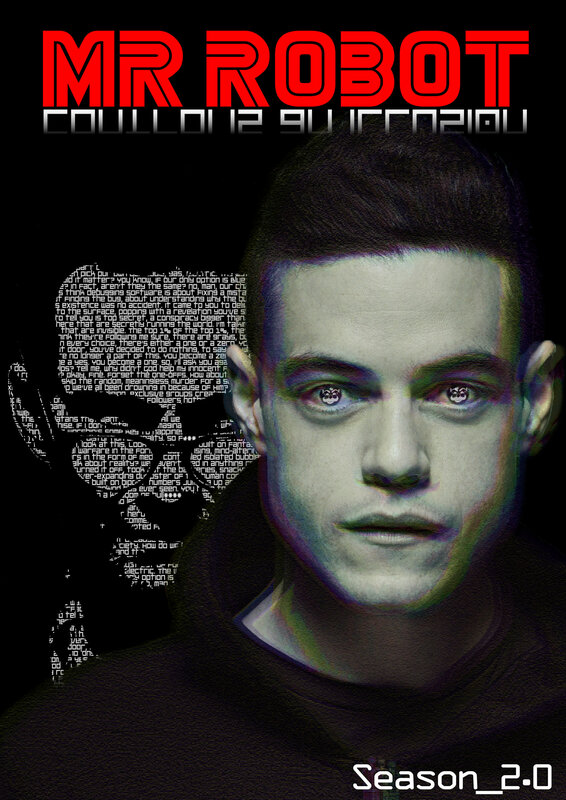 Mr Robot is a construct of ideas and words. Tried to mimic the off centre framing common in the filmography.